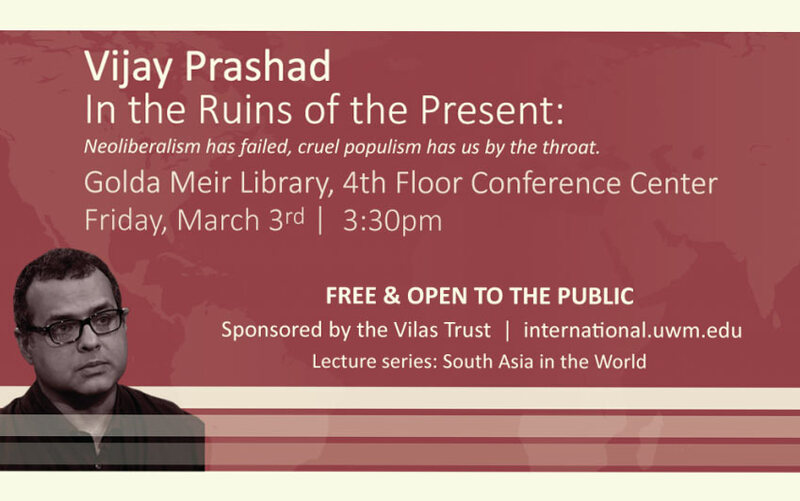 Vijay Prashad, Professor of International Studies and the George and Martha Kellner Chair of South Asian History at Trinity College, will deliver a lecture, “In the Ruins of the Present: Neoliberalism has failed, cruel populism has us by the throat” in the Golda Meir Library’s 4th Floor conference center. This event is presented by the Vilas Trust and the UWM Center for International Education. The reading for this brown bag discussion is titled “The Capitalocene Part II” and is available at www.themigc.com (linked on the schedule of events) and at http://www4.uwm.edu/c21/. Dr. Moore will give a talk entitled “Expulsions, Inclusions, and the Double Valence of Violent Abstraction: How Modernity Works Through Nature to Accumulate Capital and Destroy Lives.” Dr. Jason W. Moore is a Professor in the Department of Sociology and a member of the governing board for the Fernand Braudel Center for the Study of Economies, Historical Systems, and Civilizations at Binghamton University. His recent book *Capitalism in the Web of Life: Ecology and the Accumulation of Capital* was published by Verso in 2015. 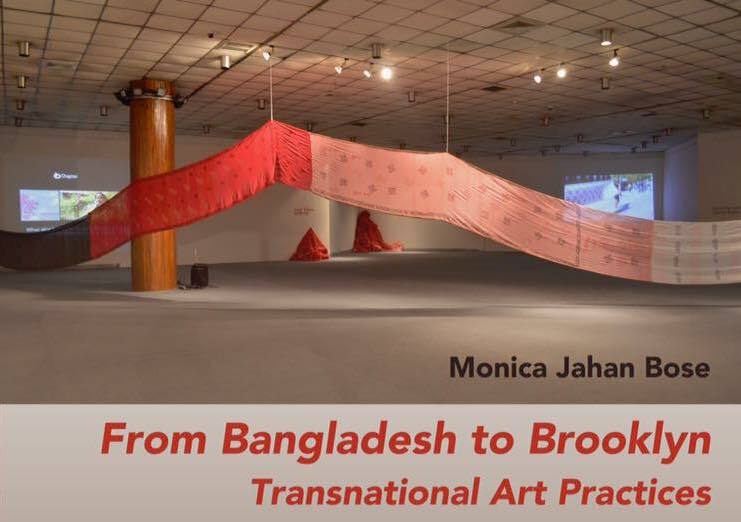 Monica Jahan Bose is a Bangladeshi-America artist, lawyer and activist whose work spans performance, painting, film, photography, printmaking and interdisciplinary projects. 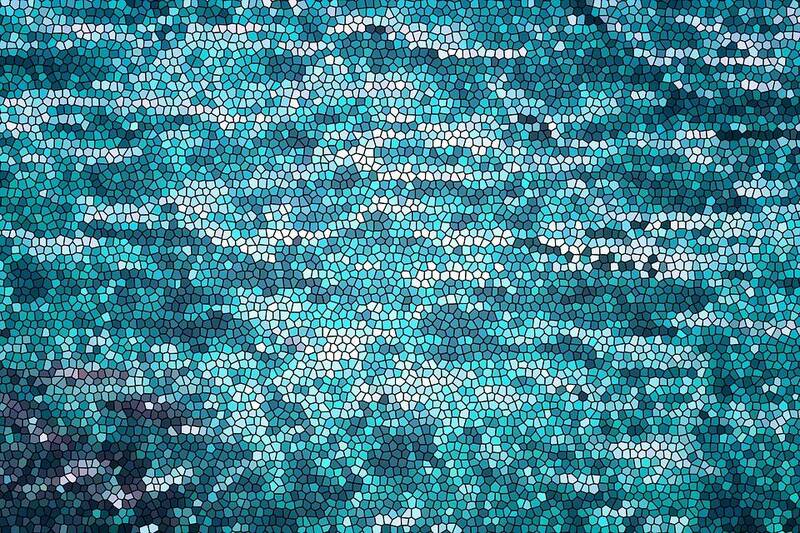 She has presented her work in villages in Bangladesh, at art fairs during the Miami Basel, and on the streets of Brooklyn. She will present her recent projects, consider how South Asia enters conceptual frameworks and art practices in the U.S., and reflect on the impact and interplay of colonization and globalization on the art world in South Asia and the U.S.
Bose’s work is a part of the Ornate/Activate exhibition at the Villa Terrace Decorative Arts Museum Feb. 16 to May 14, 2017. The United We Read Student/Faculty Reading Series returns on Thursday, February 16th, 7:00PM at Woodland Pattern Book Center (720 E. Locust St).